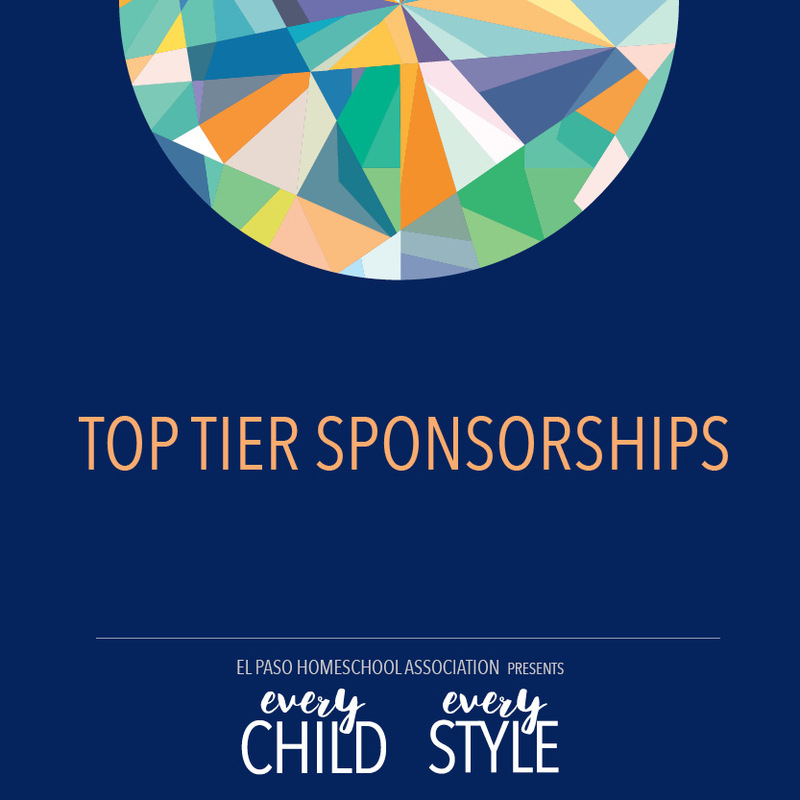 Below are many opportunities to sponsor El Paso Homeschool Association and our 2019 Conference—Every Child, Every Style. The conference will take place on May 3–4, 2019. Please email us at hello@elpasohomeschool.org for more information or to pay by check. You can download the PDF package overview here. Ranging from $1,500–$3,000 these sponsorships support the heartbeat of El Paso Homeschool Association. Click on the Package below to see the benefits of these sponsorships. Ranging from $350–$500 these sponsorships directly support the conference and those attending the conference and get your business in front of our 600+ person online audience and 300+ conference attendees. Ranging from $50–$200 these sponsorships are an easy way to get involved in the homeschool community and get business or services seen by our 600+ person online audience and 300+ conference attendees.